There is an exciting piece of news of astronomy enthusiasts and skygazers across the world. They will be able to watch a total of five solar and lunar eclipses in 2019. Not all eclipses, however, will be visible from all parts of the world. In India, for example, people will be able to see two of the five. Of the five celestial events occurring in 2019, there will be three instances of solar eclipse — one partial, one annular, and one total — and a total and a partial lunar eclipse, according to a report in Sky & Telescope. The dates and time of the eclipses are as follows. The first eclipse of the year will come as early as the first week of the first month. A partial eclipse of the sun will take place on January 5 and 6. Visible from locations in north Pacific and northeast Asia, the best location to witness the spectacle will be Srednekolymsk in central Siberia. It will be partially visible from Beijing, Tokyo, Seoul, Taipei and Vladivostok. It won’t be visible from India. The eclipse is likely to last almost 3 and a half hours, starting at 3:34 Universal Time and ending at 6:51 UT. It will be day time in India, and hence the eclipse won’t be visible here. After September 2015, this is the first time when the US will be experiencing a total lunar eclipse. While skygazers in the US will be able to catch the phenomenon on the night of 20 January, western Europe and Africa will see it as a predawn event on 21 January. The sun will be totally eclipsed by the moon for 4 minutes and 33 seconds on 2 July, 2019. The location offering complete daylight darkness during the event is somewhere in the South Pacific Ocean. Human eyes will be able to best watch the mega celestial event in central Chile and Argentina. It will be night time in this part of the world, and hence this eclipse is also set to elude India. In a spectacle for skywatchers in Europe, Africa, and (before dawn on July 17th) southern Asia and Australia, the full moon will dive about two-thirds of the way into Earth’s umbral shadow, according to the Sky & Telescope report. From South America, people can see the end of this eclipse before the Moon rises. 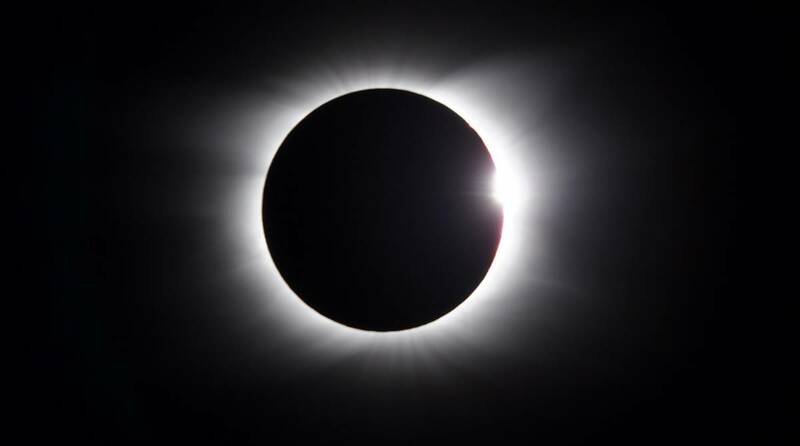 A ring-shaped solar eclipse will treat sky enthusiasts towards the end of 2019. The event will begin at dawn north of Riyadh in Saudi Arabia, with 2 minutes and 59 seconds of annularity, says Sky & Telescope. Best visible from eastern Sumatra, the event will keep a date with much of southern Asia, including India, and Australia.